The GII Pocahontas S. at Churchill Downs, a “Win and You’re In” for the GI Breeders’ Cup Juvenile Fillies, is headlined by last out runaway Ellis Park Debutante S. heroine Serengeti Empress (Alternation). 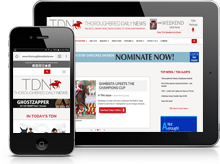 She captured a maiden special weight at Indiana Downs July 4 and then faltered to finish a distant fourth July 20 when her rider lost his whip in her stakes debut in Saratoga’s GIII Schuylerville. She rebounded in a big way, trouncing all comers by 13 1/2 lengths in the aforementioned Ellis Park Debutante Aug. 19. Taylor’s Spirit (Algorithms), a two-time blacktype winner, has yet to taste defeat and has kicked clear by open daylight in all three of her career starts. After a 13 3/4-length romp in a Prairie Meadows maiden special weight July 8, she captured the July 20 Prairie Gold Lassie S. at the same track. She was back in action Sep. 2, this time at a mile on the turf, in the Happy Ticket S. at Louisiana Downs and the result was the same. Splashy Kisses (Blame) had the misfortune of debuting behind ‘TDN Rising Star’ Brill (Medaglia d’Oro) July 18 at Del Mar and made little impact that day to finish eighth. Given a month to recover, she tried again Aug. 18 at Del Mar and set all the pace to break her maiden by 5 3/4 lengths. This will be her blacktype debut and has since been bought into privately by Phoenix Thoroughbreds. 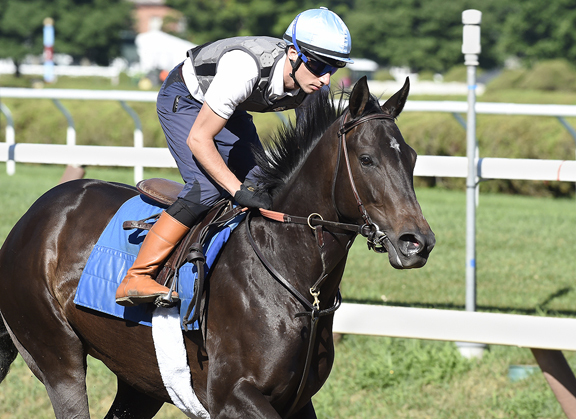 It’s hard to separate Two Dozen Roses (Super Saver) and It Justhitthe Wire (Bernardini), two six-figure sales purchases who came out of the same Saratoga maiden special weight Aug. 19. The latter finished a neck the best, but they had bumped significantly enough nearing the wire that she was disqualified and the former placed first.